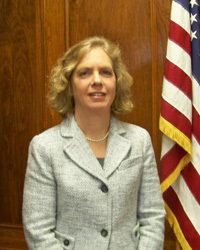 Martha Murray was sworn in as a member of the Sandusky Board of Education on January 9, 2012. Mrs. Murray is a graduate of Sandusky High School and has a bachelor’s degree in math and economics from Bucknell University, and a Master’s degree in economics from the University of Toledo. She has been very active in the community for years. Martha and her husband, Dennis, have four children, all are graduates of Sandusky City Schools.